Ayan Mukherji?s Yeh Jawaani Hai Deewani is slated for a May 31 release. His first film Wake Up Sid had light-hearted romance and his next Yeh Jawaani Hai Deewani (YJHD) too falls in the same category. 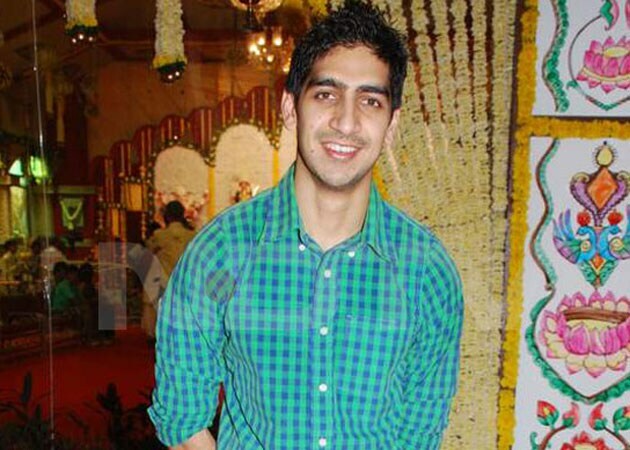 But director Ayan Mukerji says he does not want to stick to the genre forever. "I absolutely don't intend to make these relationship films forever. If I get the opportunity to make my third film, I want to step away from this genre. I would love to make a Superman film," Mukerji told IANS. In the process of discovering himself as a filmmaker, Mukerji realises that "what you have achieved with your first film somewhere shadows what you should do in your second film". "I feel that my interest in cinema is larger than what I have done in my first and second film," he added. Having said that, the young filmmaker admits following emotional instinct while making any film. "You end up following an emotional instinct, which guides you into making your film. There are different strata of society. The emotions of this film (YJHD) is universal, of falling in love, juggling friendship, career and love," he said. Mukerji is ready to unleash his directorial magic with his second film Yeh Jawaani Hai Deewani, starring Deepika Padukone and Ranbir Kapoor, when it opens on May 31. Being the grandson of Indian cinema pioneer Sashadar Mukherjee and the son of actor Deb Mukherjee, he is a "proud Bengali" and would love to bring that aspect in his film. "I am a very proud Bengali. I didn't grow up in West Bengal, but I am attracted to Bengal. There is a lot of intellectualism born out of Bengal. I don't want to do it in a conscious way, but I hope that I educate myself enough and observe enough so that naturally it reflects in my work," he said. But will he ever like to make a Bengali film? "No I don't want to make a film there. Language plays a very important role. Language is used to communicate your actual thought. Hindi films are the currency where I can reach more people and say what I want to say," he said.